Sen. Amy Klobuchar joined a growing field of Democrats Sunday in the race to take on President Donald Trump next year. So just what does she believe? Like most in her party, the Minnesota politician has pushed for more affordable health care during the Trump era. Her other recent priorities include online consumer protection and election security — allowing her to carve out a role in efforts to regulate social media companies. During her Minneapolis campaign announcement in a driving snow on Sunday, Klobuchar mentioned several goals: reducing the influence of money in politics, automatically registering young people to vote and reinstating climate regulations rolled back by Trump. She also called for “digital rules of the road” to protect Americans online, policies to cut drug prices and a path to universal health care. In a statement shortly after Klobuchar announced her candidacy, Republican National Committee spokesman Michael Ahrens said “it’s tough to find any base of support” for her bid. He also pointed to recent media reports in which former staff members alleged the senator was overly-demanding, or outright mistreated them. Klobuchar is a vocal advocate for reducing health care costs. But she has not called for as dramatic an overhaul of the system as some of her Senate colleagues and primary competitors. The senator has pushed to lower drug prices through various means. Klobuchar has introduced bills to encourage the development of cheaper, generic alternatives to brand-name drugs. She has also joined numerous Democrats in calling for Medicare to directly negotiate drug prices with pharmaceutical companies. Klobuchar has backed the expansion of both Medicare and Medicaid. She says she supports a path to universal health care, starting with a public option, which would allow Americans to opt into government-run instead of private plans. The stance sets her apart from much of the Democratic field. Four presidential contenders and senators — Elizabeth Warren of Massachusetts, Kamala Harris of California, Kirsten Gillibrand of New York and Cory Booker of New Jersey — signed on to a government-run Medicare for all plan proposed by Sen. Bernie Sanders, an independent and another possible presidential candidate. 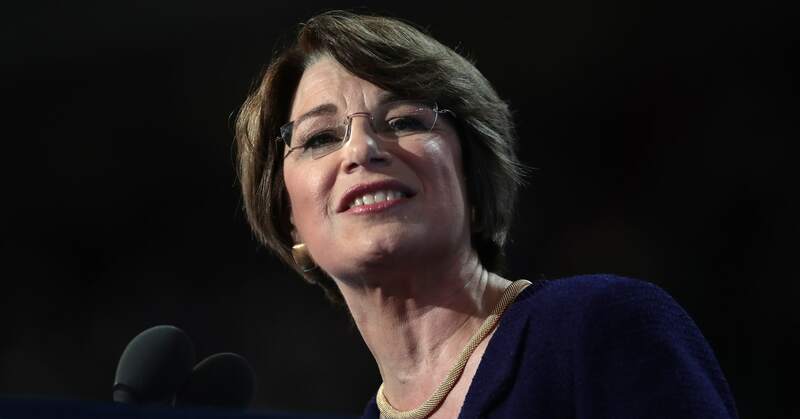 Klobuchar has aimed to make a name out of dealing with election security issues after Russian efforts to influence the 2016 election. She has focused specifically on the use of social media platforms to spread information. In 2017, she introduced legislation designed to increase transparency in online election advertising. It would put more online communications under the purview of election law, and require social media companies to keep more information about who buys what advertisements and who they target. The bill did not get through the Senate, but both Facebook and Twitter endorsed it. The effort to bring more accountability to social media companies extended beyond elections amid widening concerns about the data used by companies such as Facebook. A bill she introduced with Sen. John Kennedy, R-La., last year aimed to make online terms of service clearer and require more transparency about what data has been gathered and shared, among other proposals. Klobuchar’s focus early in her career on consumer safety issues earned her the nickname “The Senator of Small Things,” according to The New York Times. She said that “not for a minute do I view these as small things,” according to the newspaper. Klobuchar represents a farm state that relies heavily on trade with Canada. She has criticized American trade tensions with China — while showing support for some of Trump’s protectionist moves. Klobuchar sits on the Senate Committee on Agriculture, Nutrition and Forestry. On her Senate website, she cites boosting insurance programs for farmers hurt by bad weather and market fluctuations as one of her priorities. Her concerns in the state extend to alleviating the damage to farmers from the president’s trade war with China — which is temporarily stalled. Klobuchar has urged Trump to quickly strike new trade deals and get rid of Chinese tariffs that have hurt pockets of the U.S. agricultural industry. The president has put tariffs on hundreds of billions of dollars in Chinese goods as he tries to force the world’s second largest economy to address trade abuses. Beijing responded by levying duties on U.S. products, many of which come from Midwestern farms. The two sides have temporarily stopped new tariffs as they try to strike a new trade deal by March 2. Klobuchar, like many politicians around the country, has tried to strike a delicate balance on trade issues. She supported Trump’s tariffs on steel and aluminum, popular in the Iron Range in the northern part of the state. But those duties on metals in part led to Chinese frustrations and tariffs, which in turn caused headaches for the state’s farmers. Of course, her familiarity with agricultural issues could help her in a key early primary state: Iowa. In December, Klobuchar made the case that officials have forgotten rural America, according to Minnesota Public Radio. “Minnesota matters, Wisconsin matters, Nebraska matters, Ohio matters — and, yes, Iowa matters,” she told the annual convention of the Iowa Farmers Union.